“What investment tools should I use?” This was a common question I heard in my former stockbroker job. The question makes sense on many levels. We don’t champion financial literacy in our society, especially investing. Thus, individuals look for investing tools so they can learn to invest and start planning for the future. It’s my belief that investment tools can help individuals become familiar with investing and begin to think through what that will look like for them. There is one problem. There are many investing tools to choose from. Some work great, while others are more cumbersome to work through and understand. That also doesn’t touch the ones that charge you to use them. With that in mind, I’ve come up with a list of some of my favorite (and free) investment tools. I’ve used each one of them extensively. While each has its own learning curve, I believe each of the tools are relatively user friendly. Should I Really Be Using Investment Tools? he ability to make an informed decision helps newer investors build confidence and, as a result, drive them to focus on investing for their future. I do also want to point out that beyond the investment tools I mention below to not overlook tools provided by your 401(k) provider or your online brokerage. In many cases, both offer access to free investment tools, education and courses. By all means, take advantage of these as they’re there for you to use. If you’ve not started investing yet. make sure to check out the best online brokerages page I have on the site to give you an idea of the options available. With that out of the way, let’s move on to the free investment tools. Yahoo Finance is by far one of my favorite investment tools. Yahoo Finance is considered by many to be the king of the investment information world. You can get things as simple as up-to-date stock market quotes, but you can also do in depth company research, find contact information for a company as well as analyst ratings. The other nice thing about Yahoo Finance is they have news stories, personal finance topics as well as access to anything Yahoo offers. Being in the investment industry myself, it’s a site that’s well respected and one that many use to get information. I love it so much that it’s usually one of the first sites I go to in the morning to see what’s going on in the stock market. The next investment tool powerhouse that I frequent is Morningstar. While Morningstar is known for analyzing mutual funds, they actually cover pretty much any type of investment vehicle you can imagine. The great thing about Morningstar is the wealth of information they offer on mutual fund offerings. They provide the ins and outs of a mutual fund so you can buy into a fund with confidence. They detail what the mutual fund holds, how much it costs to own the fund and the risk associated with each fund. This can be particularly helpful information if you’re looking at the investment choices in your 401(k) and you need to know what funds would be best for your money. I will add that Morningstar does have a premium service that offers quite a bit more information and educational tools. I have used the premium platform on occasion, though the free offering is robust enough to help most. Personal Capital is my newest favorite investment tool. Personal Capital does much more than investing. In fact, many think of Personal Capital as Mint with investing thrown in. Personal Capital allows you to do a variety of things, from tracking your expenses, link up all of your financial accounts and monitor your net worth. This is all in addition to the investing component they provide. When it comes to investing, the goal of Personal Capital is to help investors lower their expenses and analyze investments against their benchmarks. The point is to allow investors to make more informed decisions and save money. In essence, Personal Capital provides a free portfolio review for those who sync up their investment accounts to their platform. Personally speaking, we use Personal Capital to track our spending as well as our investments to make sure they’re on track. If you’d like a more in-depth review of Personal Capital, check out my Personal Capital review. Another investment tool I’ve discovered recently is FinViz. As someone who loves being in the stock market I need to be able to narrow down the available options and find what might be a good fit for me. My favorite part of Finviz is the screener section. You can punch in exactly what types of things you’re looking for in a stock and it will spit out investments that meet the selected criteria. To be fair, some online brokerages do offer similar screeners, but I like Finviz because I can go straight there and drill down further to get insight that I might not find at some brokerages. I also like to use FinViz because there is no account to log into such as with an online brokerage account. So, if I’m in a rush I can get the information I need in a timely manner. 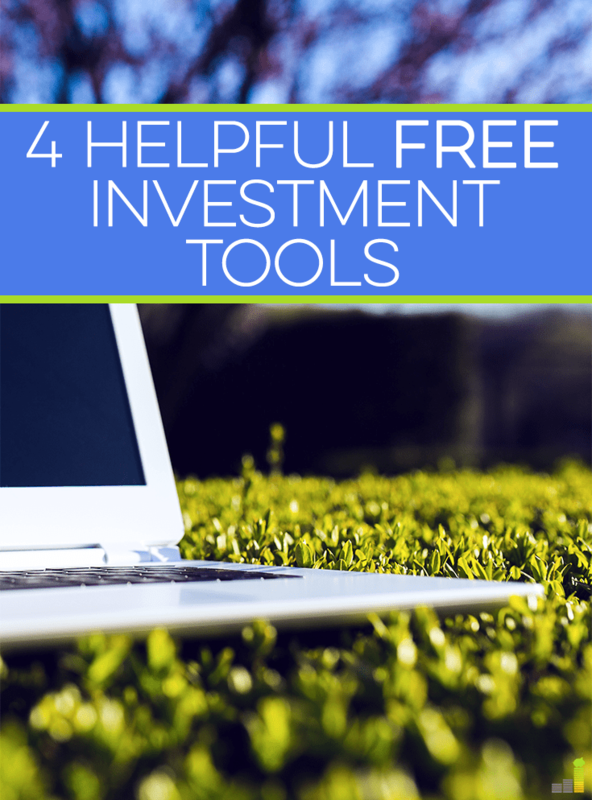 These are just some of the investment tools available on the internet. 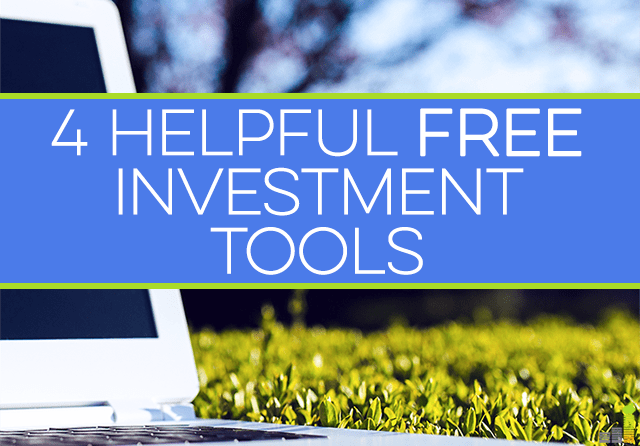 Have you used any of these tools, or are there other investment tools you like…or do you just set it and forget it? I do as well Holly, my wife likes to say I am in my nerdery when I am on the site. I actually do not use Yahoo Finance, I use Google Finance instead. I know most people use Yahoo, but I’ve used Google Finance since I started looking into investing information and have yet to see a reason to switch. That’s interesting DC. I’ve used Google Finance a little in the past, but in the long run it just does not have the functionality or breadth of coverage like Yahoo does in my opinion. In the end you have to go with what you know and are comfortable with. I do like a few of the features of Google Finance. In a perfect world, I’d mix and match what I like from each of them! I’m with DC. I used to use Yahoo finance, but have found that google finance’s charting abilities to be smooth, accurate, and easy to use. I also like how they automatically link in the morningstar ratings on various mutual funds, as well as expense ratios. It saves a step from having to go look those up elsewhere. That’s funny Mrs. Pop, I actually like Yahoo Finance for many of the same reasons. 🙂 Like I’ve said though, you have to go with what you like & works for you. I did not know that Google works in some Morningstar stuff…that’s always handy to have. I always love your beginner investing posts, as an extreme newbie investor, I always find them very helpful! Thanks Jordann! Glad to be of help. I always like Investopedia, Morningstar and Yahoo Finance. Can’t go wrong with those! I am pretty partial to them myself…especially Yahoo Finance. I practically read Investopedia back to front when I first started investing. It is such a great resource. It totally is Glen, especially when you’re just looking for a definition on some phrase. Nice post. I have used several of Monrningstar’s premium products geared to advisors ever since starting my practice, but I also maintain my subscription to their basic website as well. I use on a regular basis. I also use Yahoo Finance, their charting and real time quote tools are excellent and they have a wealth of excellent articles (including a few of mine from U.S. News LOL). Thanks Roger. I’ve seen some of the premium products and they do look pretty sweet. I could not agree more in regards to Yahoo Finance. They just have so many tools that I can use. I can really waste some serious time on that site. As a newbie investor, I use 3 out of the 4 above. Great post. Thanks Eddie. I like that they’re good for beginners and more seasoned investors alike. I haven’t heard of the last two, so thanks for enlightening me. 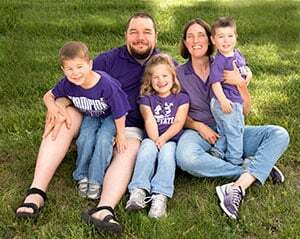 A funny thing most don’t know about me is that I used to submit articles to Yahoo Finance before I had a blog, but I used a pen name because it scared me to death to put myself out there. I never even checked them for comments because I couldn’t bear to see if people told me I was full of crap! I’ve come a long way. Not a problem Kim. Wow, that is interesting to know. What was the process like to do that? It’s one of my goals to try and get something submitted to them this quarter myself. I can understand the pen name angle as there really is some people that go to Yahoo Finance that will tell you what they really think. I don’t think it was for the main site, but the contributor network. You sign up and can choose a topic they have available or submit one of you own and they have to approve your post. I got a few approved and some rejected. I believe you get a base rate of $10-$20 and bonuses depending on pageviews. I should try it again and promote the heck out of it. I didn’t tell anyone and had no blog to promote it at the time. I often find that investopedia is my go to when it comes to terminology. Its my investment dictionary! I do that from time to time as well Brian. I like that they can take such complex products and boil it down for someone like me to understand. I am an extreme investing newbie, as in, I know absolutely nothing about investing! But I will check these out! I definitely would encourage it Mackenzie. What I like about most of the sites listed is that they have good resources for beginners as well as seasoned investors. I’ve tried to do investment research, but I just can’t wrap my head around it. So I picked a bunch of mutual funds for my IRA and waited a year to see which ones were losers. I dropped them and put the money into the ones that are doing well. I haven’t done much other than contributing since 2010. I can understand that Edward, especially as a beginning investor. I would encourage you to look at products beyond mutual funds as they often can be rife with fees that can erode returns. Those are all really good resources (except for Finviz but only because I’ve never tried it), especially for anyone just getting started. I’m pretty partial to CNN Money and Fidelity’s account resources. Any stat I need is usually right there between the two. I would agree MMD. I’ve used CNN Money some, but not a whole lot. How do you like using Fidelity as a brokerage? 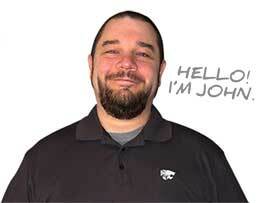 I may be looking to switch brokerages here in the not too distant future and need some solid ideas. Since I plan on getting into investing this year, I appreciate your resource John. It will be helpful. I have used Yahoo Finance in the past, but I think I will check out the others to see what I can do with my money! Not a problem Grayson. I am pretty familiar with all of them but Finviz and I love that they boil things down to be easy to understand for the range of investors. I use the first three services, but haven’t heard of Finviz. I’ll check them out. Thanks for the tip. Not a problem. I need to check out Finviz more myself. I often find many people that feel the exact same way as you do Mr. CBB. I think a lot of it does come down to confidence, which n the end comes from education. I find that with a little investing education that it really does breed confidence for investors. I use the top three regularly, but need to check out the fourth one. I’ve seen lots of people use free tools, but often they don’t use them correctly. What’d be cool is a post about how to dig into these tools to get more from them. I could not agree more Joe. You have to know what you’re doing, otherwise it could potentially cause to do something you normally would not. I’ve thought about doing a post just like that, my concern is making it understandable to readers. I’m a set it and forget it kind of girl – but perhaps I should start using some of these tools! There’s nothing inherently wrong with that if that’s your preference. The important thing is being aware of the risks associated…as with anything investment related. I like using Yahoo Finance for quick options quotes and morningstar for my deep fundamental analysis. Morningstar really is a good tool for fundamental analysis Marvin. I can waste way too much time on Yahoo Finance. I like it for options quotes and just overall news. When I tried my hand at stocks a few years ago I used Yahoo Finance and MSN Money. Once my debt is paid off I’ll try out the others. MSN Money is a fairly good tool to be used as well Justin, I use it myself on occasion. Strange how Yahoo did so well with Finance and not so much of the rest. I enjoy their site too. I also check xe for currency charts. My thoughts exactly Pauline. I’ve always thought it was odd, but will gladly take what they’re best at. And a lot of people don’t have a brokerage account yet, so I guess they can use Finviz to get more focused on what they want to buy first. I like Yahoo finance for the detailed charts, but I usually use Google finance because I like their interface more :0) both are great free tools though. I would tend to agree sir. Many don’t, or if they do they’re forgotten about. I actually can’t stand Google Finance’s interface, but you have to go with what you like and both are pretty handy little tools. I am extremely familiar with three of those (quite the Morningstar junkie here), but I have never heard of Finviz before. Will add that one to the arsenal. Thank you for introducing me to potentially another invaluable resource! I am a big fan of Morningstar as well! I’d love to have some of the premium services they offer, but can’t justify the cost. Not a problem Jennifer! Thanks for the list; I’d only heard of Yahoo Finance previously. I’ve been investing extra cash in peer to peer lending but I am definitely going to start reading these resources so i feel more comfortable about investing in stocks. Not a problem Kay Lynn. I’ve never invested in P2P lending before, so I am clueless on that. These are some pretty handy resources for stock/mutual fund investing. I have used Yahoo Finance and Morningstar for years as well. Good tools. Just don’t make investment decisions based on opinions posted to the Yahoo Finance message boards. Lots of worthless chatter there. Finviz sounds interesting. I will have to check that out. Thanks. I could not agree more Brian. Most of the ones who post in the message boards have more than a few screws loose. Although, some of the comments can be god for a laugh. Was in real estate up until the ‘bust’ in 2008. Still selling off properties as ‘owner financed’ to recover from that fiasco! Will be looking to invest in 2013, and appreciate your insights. Familiar with Morningstar but the others were new to me. Thanks for the information. Not a problem Steven. They’re some pretty good ones that I mentioned and am always looking for more to add to my arsenal.